Update 6/11/15: if the State Department gets their way, this post will be illegal. I'm not taking it down. They will have to make me. Like the 3rd segment of almost every A-Team episode, this is the time on "The Backwoods Engineer" when we build stuff. Let's build fun stuff to shoot at the range! 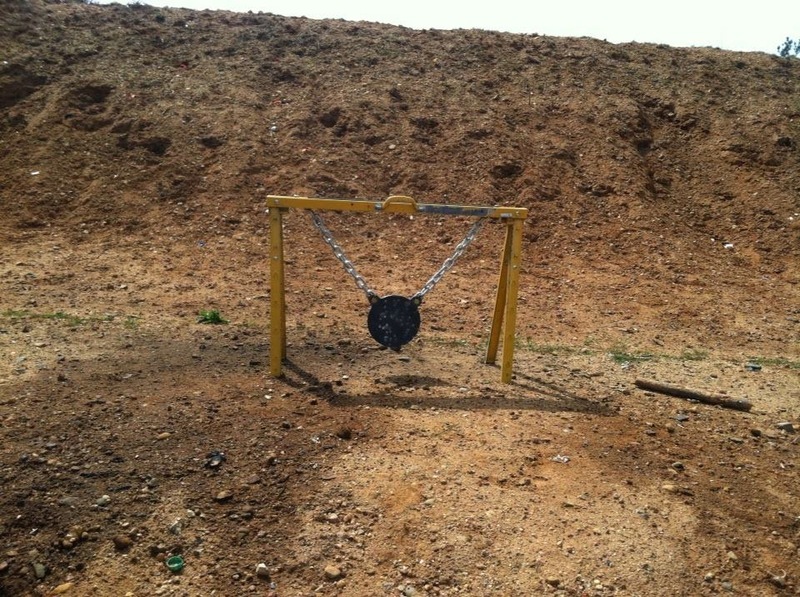 I got a great idea for a steel rifle target from my shooting buddy Nick S. When I saw his "gong" target at the range last month, I knew I had to build one. You should, too. ... and drill a couple 1/2" holes in the top near the ends, put some 1/2" bolts through there, and on the underside, put double clevises on each of the bolts, for attaching the steel chains for the target plate. 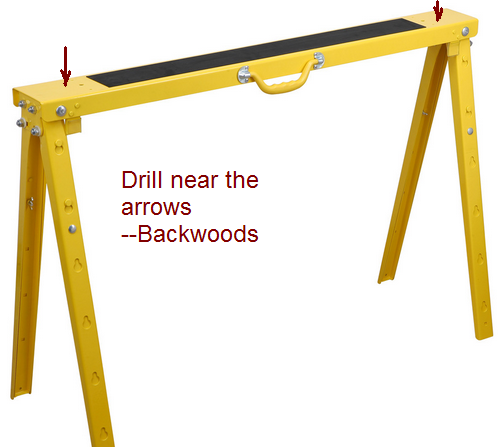 Or, drill two holes on each end of the sawhorse, and use U-bolt-type chainplates like the ones used on boats. preferably 1/2" thick chain. 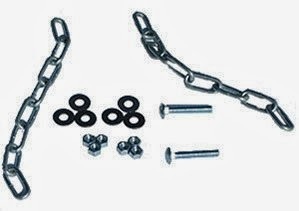 Attach these two short chains to the clevises or U-bolts, so they hang down. 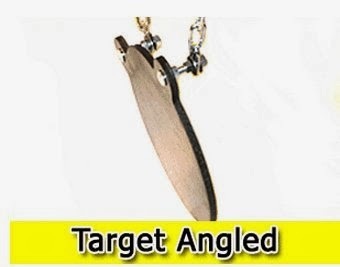 If you don't want to fool with all finding all that hardware, the same guy (ShootingTargets7) on Amazon who sells the steel gong targets (see below) sells a mounting kit that includes chains. But them chains look mighty weak to me. I put 1/2" chain from the hardware store on mine. From "The Home Schooled Shootist"
This is an 8" diameter plate, 1/2" thick. It is approximately 8 MOA at 100 yards. As a member of the unorganized milita, this is good for your training with your battle rifle. In The Home Schooled Shootist, shooting instructor and government tough-guy Joe Nobody teaches the ability to hit a US-standard 8-1/2" by 11" paper, as a representation of the vital areas in the human torso. This plate is slightly narrower and a few inches shorter in the vertical dimension. So, if you can hit this plate consistently, then you should be able to make consistent vital-area hits on a man at that distance. Well, plus or minus the difference between fighting for your life, and plinking a steel gong on a straight range. You really, really want a good laser-cut AR-500 (armor-plate) steel "gong" target. Not "flame-cut"; that weakens the hardness of the steel on the edges. That "500" number is the Brinell (indentation) hardness, and is an indicator of how well the plate repels rifle bullets. The "gong" I used is only $46 from Amazon, and I paid $8 shipping (YMMV). 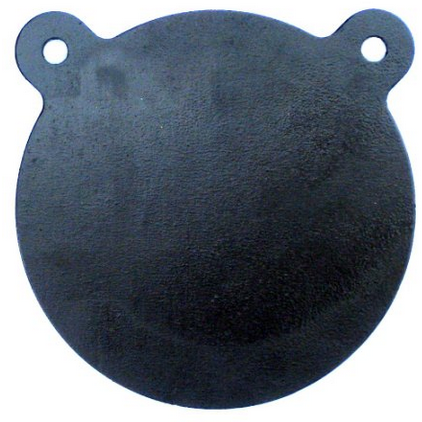 If you get soft steel, or flame-cut AR-500, you may find that your target plate is bullet-degradable. (Get good chain, too. It is bullet-degradable, as well.) 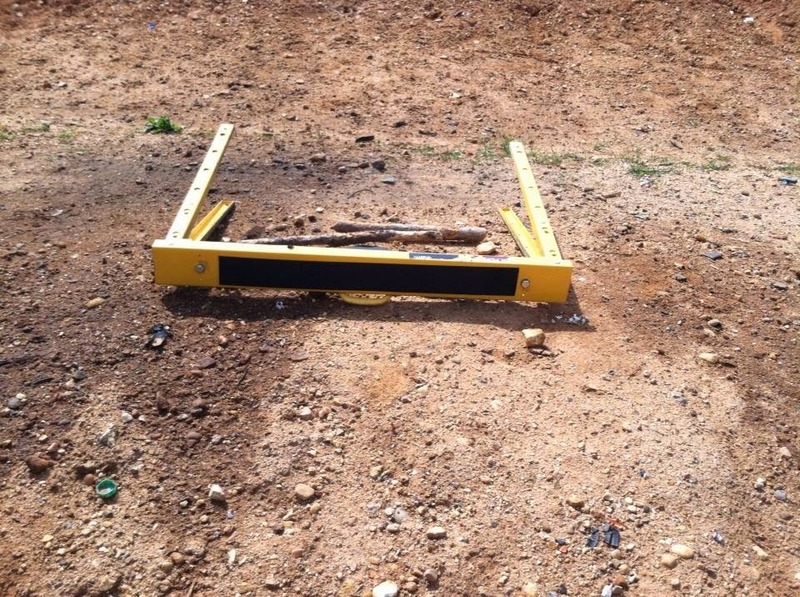 For more on the steel required for these targets, check out Action Target's bulletin. I can tell that the plates linked above really are the hard armor-plate steel. I have shot at least 3 magazines (90 rounds) of 55gr FMJ into mine from 100 yards so far, and only surface pitting from the 5.56 mm rounds is evident. This is an inexpensive but effective gong target system. I have spent $54 total for the gong, $30 plus tax for the sawhorse, and about $15 for the chain, bolts, etc. That's a total of about $100. Similar targets (that do a little more, admittedly) from Action Target go for over $300. I can build 3 of these targets for that. Caldwell has a gong target with stand, but that thing looks flimsy compared to the sawhorse. The one I built isn't that heavy, either. The whole thing weighs around 50 lb, I'd estimate. Not too hard for an old out-of-shape hillbilly like me to tote 100 yards to the berm at the range. I guess I will have to get some kind of spikes and attach them to the legs. The legs are extensible, but making them longer seems to make the whole thing a little less stable. Let me know in the comments if y'all build one of these. Mark here with ShootingTargets7 just wanted to give you a shout out and thanks for showing off my products. Looks like a nice target stand you have there! Thanks Mark! I plan to make some more, and of course I will document them here at the blog. You have a great product there. Update 9/1/14: over 1,000 rounds and counting. The only thing I've seen so far that has put a divot in AR500 target is the .22-250 varmint round at 70 yards. That tore a chunk of steel out, but did not go through. Hiys, Backwoods Engineer.......Any reason for downwards deflection of gong besides simple safety? Rollin -- yes, it's about safety. With a downward angle, most of the bullet fragments hit the ground, instead of coming back at you. Update 3/19/15: over 2,000 rounds and still plinking! I've been through 3 sets of chains, and two sets of bolts now, but the AR-500 plate is still good to go! Late to the party as usual! I like gongs. I visited a friend whose club's range had gongs. I shot the gongs better at 200 yards than I shot paper at 100, and it helped me in that fall's CMP regional games. Are you using soft points? If not, how chewed up is the gong? I use cheap practice ammo (FMJ, jacketed, 55gr) and sometimes M855. The gong is not "chewed up" at all except on the surface. And I now have over 3,000 rounds into it, and still going! Thanks for the tutorial! I just built one and will be testing this out tomorrow with some 223 and 22lr. Total cost including gong was about $70. Thanks, Ariel! Glad you built one, and hope you enjoy it. Mine is still going strong, over two years later. My kids and I are totally enjoying it. I had one of your experiences. I was shooting with an ak and didn't let the plate swing back down and knocked it over. Lesson learned. have you tried hanging two plates on there? I'm thinking of hanging an 8" and maybe a 6" or 4". I went ahead and drilled two more holes and was successful in adding a second plate. Worked out great. Installed 6" and 10" plates. I built something very similar and have a positive overall experience but I was wondering if there are any suggestions to dampening the swing of the gong to allow repeated shots at shorter intervals? Increase the mass. For example, bolt two of the plate targets back-to-back. 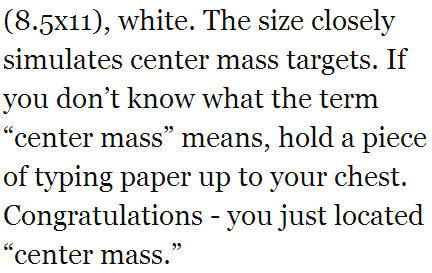 That gives you a spare target, and also doubles the mass, reducing the swing. How long are the bolts you used? did you end up coming up with something to support the legs better so the stand doesnt fall over after multiple shots?? Yes, I drilled some holes and put some steel stakes on two of the legs. That works pretty well. Just found this page. Like the article. The metal sawhorses retail for ~$50 Cdn around here. But was on sale for $16 so score! I had some leftover hardware/chain around the shop and an AR500 plate in on the way. Also $50 Cdn - free shipping. again, score! Keep up the good work. Glad you found us, and glad you were able to save on a gong target of your own. Please do come back after you've shot it a bit, and tell us how you like it, and what improvements you'll make, if any. If you look at the bottom of this thread of my scorecard of firearms.You will see the chances of shooting yourself and the people you know rather than shooting more details the criminal you are trying to protect yourself from..